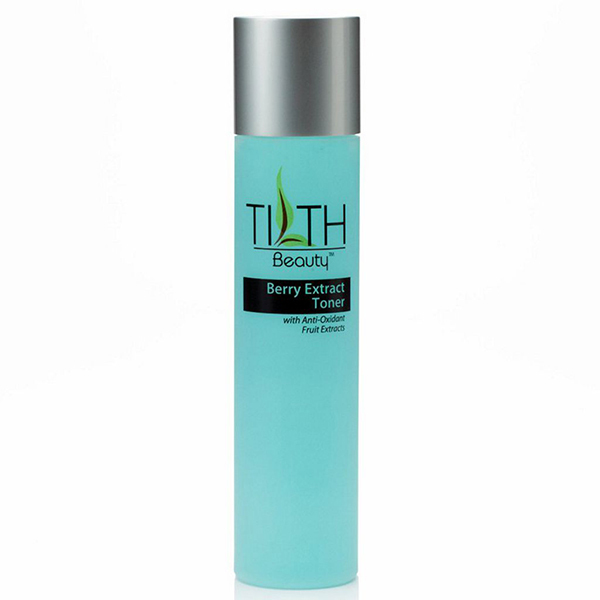 a berry healthy glow, with Tilth Beauty Berry Extract Toner. This toner is filled with anti-oxidant fruit extracts of blueberry, cranberry, and goji berry. The toner removes makeup, dead skin, and fights free radicals that accelerate the aging process. Your skin is left clear and toned, with smaller pores. So clean up with Tilth and remove the evidence….